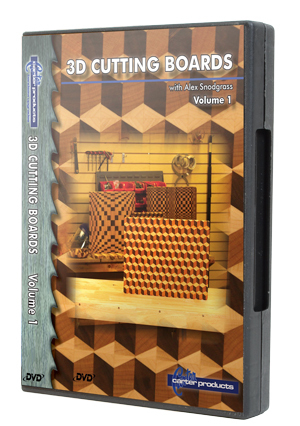 In this first DVD of the series, professional woodworker Alex Snodgrass walks you through what he does to create his visually stunning 3D works of art. Alex will take you step by step through the process of creating the basic designs of the 3D cutting board, toosl needs and process to create. All steps are detailed from wood selection to finish and everything in-between. 3D Cutting Boards is a great video for any woodworker novice to expert. In this next in the series, professional woodworker Alex Snodgrass walks you through what he does to create his visually stunning 3D Ball blocks that are works of art. Alex will take you step by step through the process of creating the basic designs of the 3D cutting board, tools needed and process to create. All steps are detailed from wood selection to finish and everything in-betweenhttp://www.ptreeusa.com 3D Cutting Boards is a great video for any woodworker novice to expert. 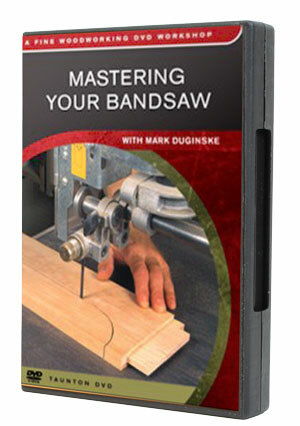 Mark Duginske shows you how to precisely tune and accurately use your band saw to achieve optimal performance. Through his books, magazine articles and in seminars across the country, Mark Duginske has helped thousands of bandsaw owners tweak their wayward machines into precision tune. How to Make Your Band Saw work" follows professional woodworker Alex Snodgrass as he walks you through what he does to set up a saw to run flawlessly right out of the box. How to make your band saw work is a great tool for any woodworker who owns a bandsaw and wants to set it up to cut perfectly every time. Professional woodworker Alex Snodgrass demonstrates how to cut the now famous puzzle snake as well as two other puzzles from pre-finished items. Follow Alex as he masterfully transforms four feet of raw dowel stock into a patriotic Red, White and Blue puzzle snake. Alex also takes two pre-finished items; a football and a decoy duck, and demonstrates how to turn them into fun for all puzzles. 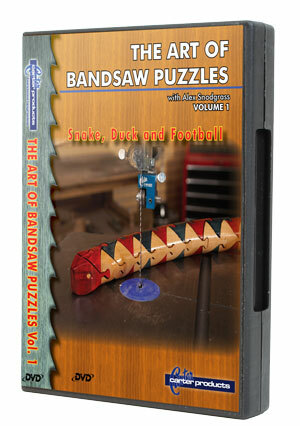 "The Art of Bandsaw Puzzles" is a great gift for any woodworker and the intricate puzzles are fun for the whole family and make great gifts for anyone. Available on DVD Video only. Professional woodworker Alex Snodgrass shows you how to create intricate artful boxes with your bandsaw. 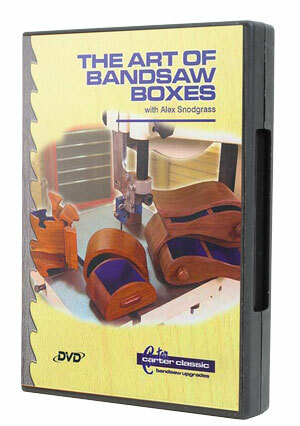 This easy to follow instructional DVD includes step by step instructions from cutting raw stock to gluing, sanding and flocking of a basic teardrop shaped box. In addition to the teardrop box you'll learn how to cut a puzzle box and a flowing design two drawer box. 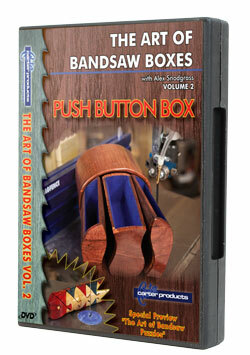 "The Art of Bandsaw Boxes" is a great gift for any woodworker and the beautiful boxes are a great gift for anyone. In this second installment of "The Art of Bandsaw Boxes" Professional woodworker Alex Snodgrass shows you how to create an advanced multi drawer push button box with your bandsaw. 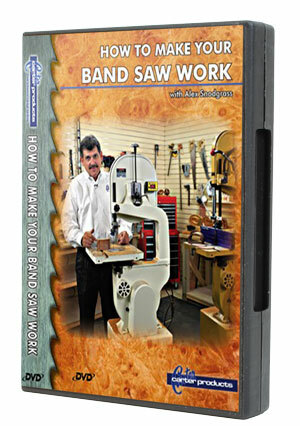 This easy-to-follow instructional DVD includes step-by-step instructions from cutting raw stock to gluing and finishing. In addition to the advanced push button box, we've included a brief preview of the next video in the "Art of" series entitled "The Art of Bandsaw Puzzles". Alex gives a quick look at the cutting of a puzzle snake. 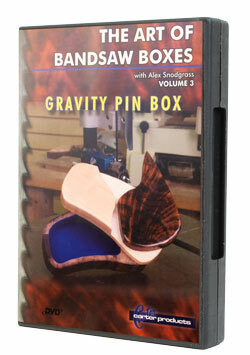 In the third installment of "The Art of Bandsaw Boxes" professional woodworker Alex Snodgrass shows you how to create the mysterious gravity pin box. The box can only be opened using a secret combination of angles and twists. 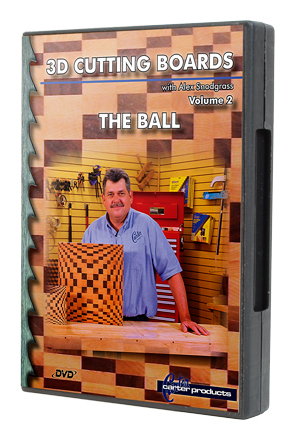 In the DVD Alex shows you step by step how to cut, sand and assemble all the necessary components to make this box design. The project is as much fun to create as it will be for people to figure out how the box works. It also makes a great gift for woodworkers as well as the finished boxes.